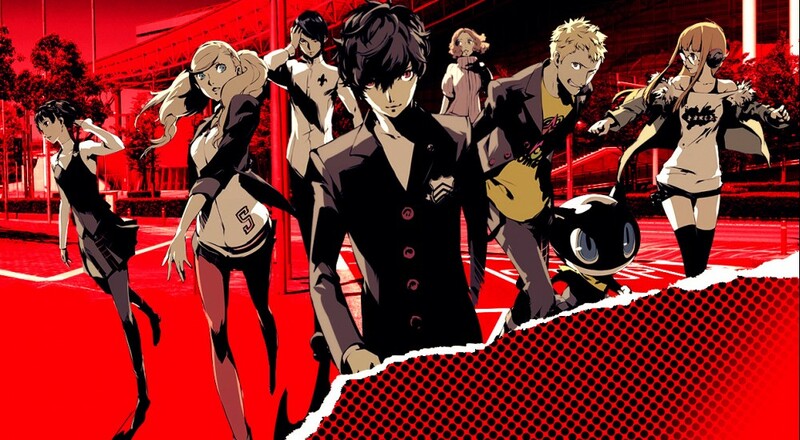 A couple of us are (somehow) already finishing up the school year in the latest Persona entry, but a few others are about to make the leap. Will they survive the latest and greatest in Japanese High School Simulation Technology? Will they discover things about themselves and their emotional baggage? Will they complete the game before the heat death of the universe? Find out on the next three hundred episodes of Weekend in Gaming! Outside of Persona, we're getting old school with classic RPGs, tabletop gaming, and the classic American pastime - killin' slimes. Check it out! Nick Puleo (@NickPuleo) - "Not much time for gaming this weekend, but when I can, I'm working through Deus Ex: Mankind Divided." Jason Love (@JLove55) - "Maybe finishing up first playthrough of Persona 5, and killing metal slimes in Dragon Quest Heroes 2." Mike Katsufrakis (@Pheriannath) - "Coming up on the end of Persona 5, so I'll probably work on finishing it up." Marc Allie (@DjinniMan) - "Probably mostly tabletop this weekend. Hoping to get a board game in with my wife this evening and then play some Magic tomorrow." John Bardinelli (@itsamejohn) - "Kicking back with some crazy old school RPGs I picked up during the week. Busting out the graph paper because it's time to draw some maps!" Locke Vincent (@LockeVincent) - "I finally got through Nioh (first playthrough) as well as Nier Automata. Can't decide if I want to keep going with some more playthroughs, or begin the school year in Persona 5." Sam Tyler (@thereelsamtyler) - "I am not sure if enjoying is the word, but I have been playing a bit if Zombie Army Trilogy and plan to continue to do so." Tally Callahan - "Mostly work this weekend, but some Overwatch when I have free time." Enoch Starnes (@enochstarnes) - "I'll be out of town for most of the weekend, but I'm hoping to get some more Heroes of the Storm matches in when I have time. On the other hand, Persona 5 beckons..."
Matthew Squaire (@mattaghetti) - "Also not a ton of time, but working through Horizon and Prey when I have time." How about you? What does the weekend hold in store? Let us know in the comments!